The opening was attended by Turkish Embassy’s Undersecretary Mr. Yasin Temizkan, ARUCAD Board of Trustees Chairman Dr. Sinan Arkın, Rector Prof. Dr. Turan Aksoy and ARUCAD academicians as well as a huge crowd of art lovers. Art Space, which is ARUCAD’s latest cultural investment to the island of Cyprus, will provide exclusive spaces for the different art disciplines as an event venue where exhibitions, discussions will be held, video works will be screened and works produced at the ARUCAD workshops will be displayed throughout the year. Art Space will also double up as the liaison office of the University in the area. 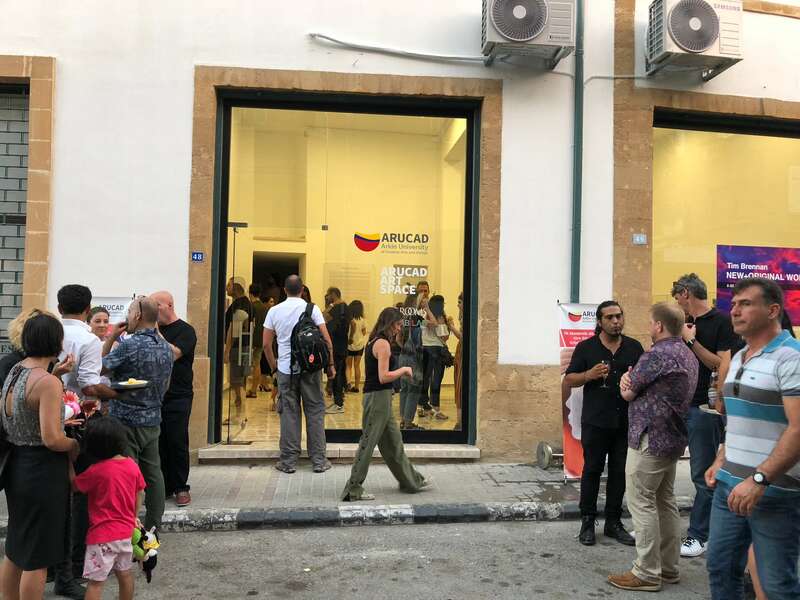 The exhibition called NEW+ORIGINAL WORKS is open at ARUCAD Art Space, Müftü Recai Efendi Street, Nicosia until August 21. Tim Brennan has been opening international exhibitions for the past 30 years. His works which are not limited to one single type of media are weaved with transitions between different areas in a manner that encapsulates object, image, performance, text, publication and curation. Since mid-1990s Brennan has developed a methodology which he called maneuver and grounded on walking, recital and conversation as an understanding of art. Brennan is a professor of art and head of Manchester Art School Art Department.